PC Options is a successful business engaged in selling computer hardware. Presently, they have two branches that can be found in New Manila Quezon City or popularly known as Gilmore Ave. and in Shaw Blvd, Mandaluyong City. PC Options started doing business in 1997. In the beginning they only sell computer parts since the market for computer parts is not available yet. The owner being a programmer and a technical enthusiast by himself knows what’s missing at that time .Eventually people learned about DIY components and how to install them, following an increase on demand for computer parts. Besides PC Options was established with its Vision of providing the customer the best satisfaction through a variety of choices, reasonable prices and top quality service. This is why PC Options will never stop listening to their loyal customer’s feedback on how they can serve them better & give them always new updated products. PC Options was the first to open a PC shop in Gilmore and pioneering the “Do it yourself” concept. Way back when the area was still a desolated place, unknown to many. Their success in Gilmore served as the catalyst for other businessmen to join the PC bandwagon in the area. Some stores even change their business name and copied the name “PC” which is the initials of the founder owner of PC Options. 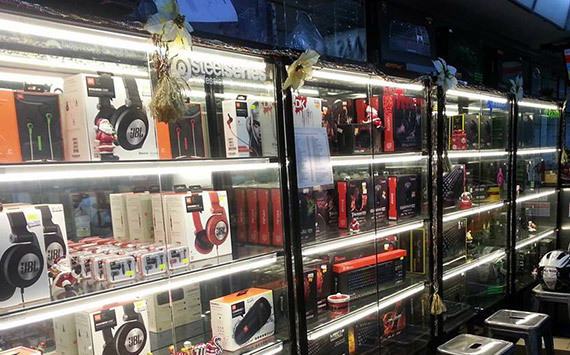 Now Gilmore has become a landmark, a haven for enthusiast where they can buy affordable and quality PC hardware. And amidst the growing competition PC Option still manages to offer the best price range. And to match it with better services, they unveiled their first corporate website. It will feature a tracking system both for delivery and repair, moreover a display of their products catalogue. Now buying at PC options will be a much better experience, in just one click of the mouse, your purchase will be delivered right to your doorstep. © 2017 PC Options. All Rights Reserved.